Ok ladies, I need some help. 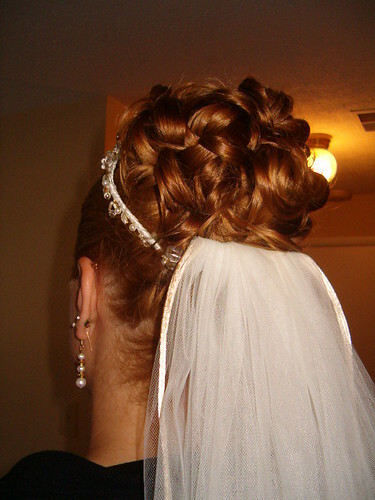 We are on a crazy tight budget for our wedding and I’m planning on doing my own hair and make-up for the ceremony. Since it’s a Vegas wedding, it’s very low key. I am forever putting my hair up, no matter how it’s styled, so I figure best to start with it up. 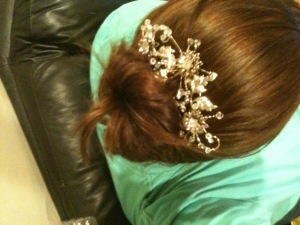 Also, I want an updo as I have knit my wedding veil and want to wear it hooked below the ‘do. Tonight I purchased Spin Pins and a ton of bobby pins. 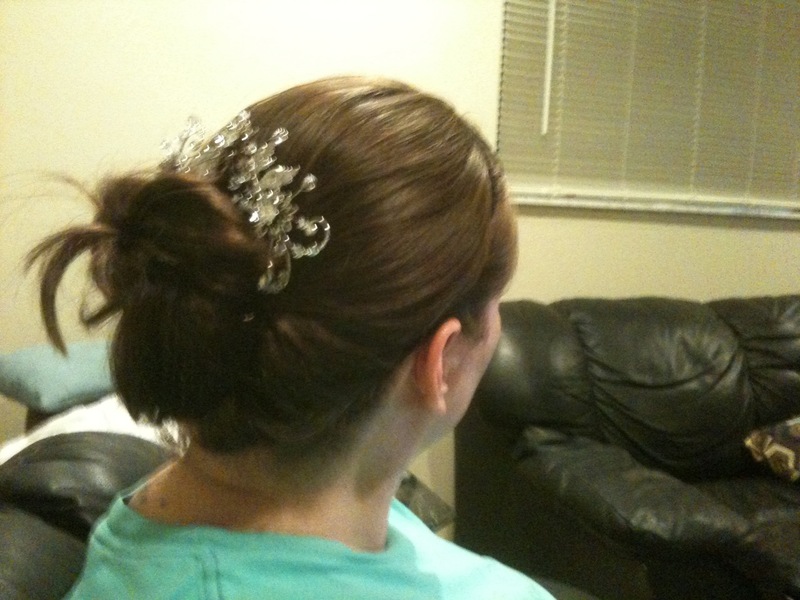 Can you suggest your favorite easy to explain updo? And as a treat, what my hair looks like with the Spin Pins and my gorgeous hair comb.